When I asked Imelda what her skincare routine would look like if she only used British brands I had no idea what I was getting myself in to! 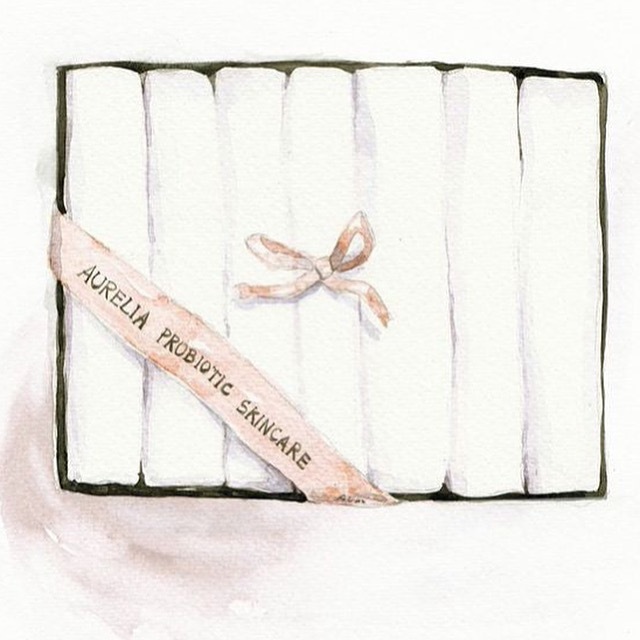 What she came back with was a list of the most covetable products and the most indulgent “slow” routine that it just had to have it’s own post. 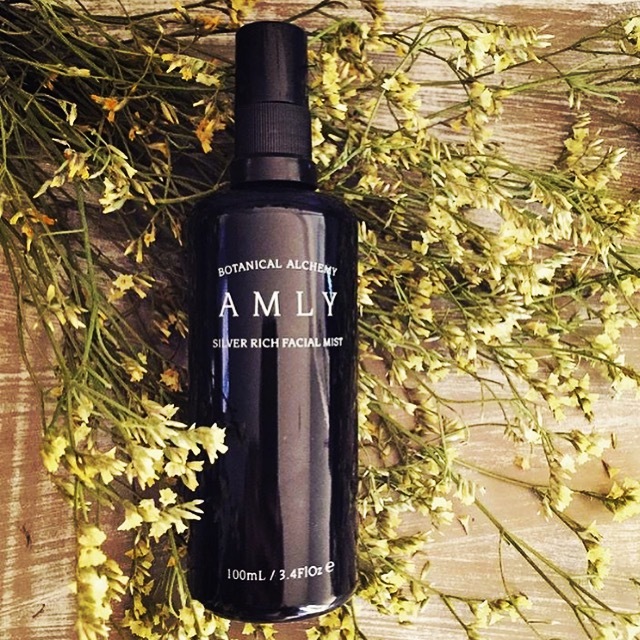 As expected from someone who lives and breathes skincare and green beauty, every single step has been considered and what she uses is of the very best quality. Keep reading to find out which products made the cut and how you can win every single product in Imelda’s spectacular “Best of British” Skincare Routine. Ingredients: Aqua, Mel (Honey)*, Lauryl Glucoside, Decyl Glucoside, Cocamidopropyl Betaine, Gluconolactone, Xanthan Gum, Hippophae Rhamnoides (Sea Buckthorn) Oil*, Aloe Barbadensis Leaf Juice Powder*, Yucca Schidigera (Y. Vera) Extract, Citrus Aurantium Dulcis (Sweet Orange) Peel Oil*, Citrus Aurantium Bergamia (Bergamot) Fruit Oil*, Lavandula Angustifolia (Lavender) Flower Oil*, Citrus Aurantium Amara (Neroli) Flower Oil*, Sodium Benzoate, Calcium Gluconate, Parfum*, Limonene+, Linalool+, Citral+ * Organic + Naturally occurs in essential oils. I love the use of honey in skincare and this is one of the best ways to easily incorporate it into your regime, without making a mess! It smells incredible, has a beautiful texture and leaves skin feeling soft, smooth and balanced. Ingredients: Aqua, Citrus Aurantium Dulcis (***Sweet Orange) Flower Water, Rosa Damascena (Rose) Flower Water, Anthemis Nobilis (Roman Chamomile) Flower Extract, Lactobacillus Ferment, Aloe Barbadensis (***Aloe Vera) Leaf Extract, Glycerin (Vegetable), Brassica Campestris (Rapeseed) Seed Oil, Achillea Millefolium (Yarrow) Flower Extract, Hypericum Perforatum (St John’s Wort) Leaf Extract, Alchemilla Vulgaris (Lady’s Mantle) Leaf Extract, Hibiscus Sabdariffa (Hibiscus Berry) Flower Extract, Vaccinium Myrtillus (Bilberry) Fruit Extract, Crataegus Monogyna (Hawthorn Berry) Fruit Extract, Sambucus Nigra (Elderflower) Flower Extract, Althaea Officinalis (Marshmallow) Root Extract, Equisetum Arvense (Horsetail) Extract, Hydrolysed Hyaluronic Acid, Bis (Tripeptide-1) Copper Acetate, Pisum Sativum (Pea) Peptide, *Citrus Aurantium (Neroli) Flower Oil, *Tilia Cordata (Linden) Flower Oil, *Rosa Damascena (Rose Otto) Flower Oil, *Boswellia Carteri (Olibanum) Gum Oil, *Jasminum Grandiflorum (Jasmine) Absolute Flower Oil, *Matricaria Chamomilla, Glucose, Benzyl Alcohol, Selaginella Lepidophylla Extract, Polyglyceryl-4 Caprate, Silver Citrate, Citric Acid, Dehydroacetic Acid, **Limonene, **Linalool, **Geraniol, **Citral, **Farnesol, **Citronellol, **Benzyl Benzoate. *Natural Pure Essential Oils **Potential Allergens ***Certified Organic Ingredients. In addition to the reasons listed in question three (here), the scent is just heavenly. I actually keep it on my desk and spray it for both its skin and mood altering benefits. 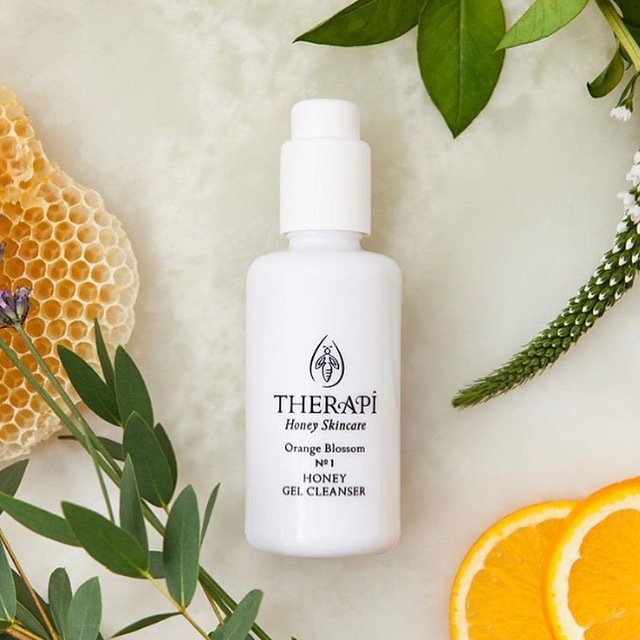 It’s also packed full of skin loving ingredients like copper, silver, peptides and hyaluronic acid making it one of the hardest working mists out there. Ingredients: Cocos Nucifera (coconut) Milk Powder, Zea Mays (Corn) Starch*, Kaolin Clay, Aloe Barbadensis (aloe) Leaf Juice Powder*, Lavandula Augustifolia (lavender) Flower Oil*. * Certified organic * Allergens: d-limonene, geraniol, linanlol. My favourite masks are the ones I have to mix myself. This allows you to tailor the product to how your skin ‘feels’ on any given day. I often add oils, honey or yoghurt to this one – all the best skin foods. 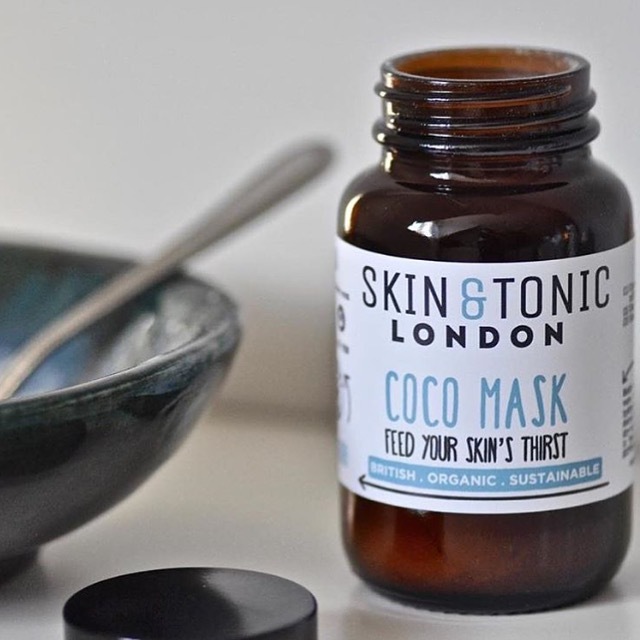 It works with just water too as the base is powdered coconut milk, but I love adding the Skin & Tonic Brit Beauty Oil to it. Ingredients: Spring Water, Aqua Olive Oil, Olea Europaea Olive, Emulsifying Wax, Cetearyl Olivate Sorbitan, Olivate Vegetable Glycerine, Glycerin ,Vitamin E, Tocopheryl Acetate, Eco Preservative Benzyl Alcohol, Salicylic Acid, Sorbic Acid Essential Oils: Rose Rosa Damascena, Bergamot Citrus Bergamia Labdanum, Cistus Ladaniferus, Clary Sage, Salvia Sclarea, Benzoin Styrax Benzoin. I love the moisturisers in this range. This one in particular has a beautiful rose scent and glides on easily to leave a great base for make-up. 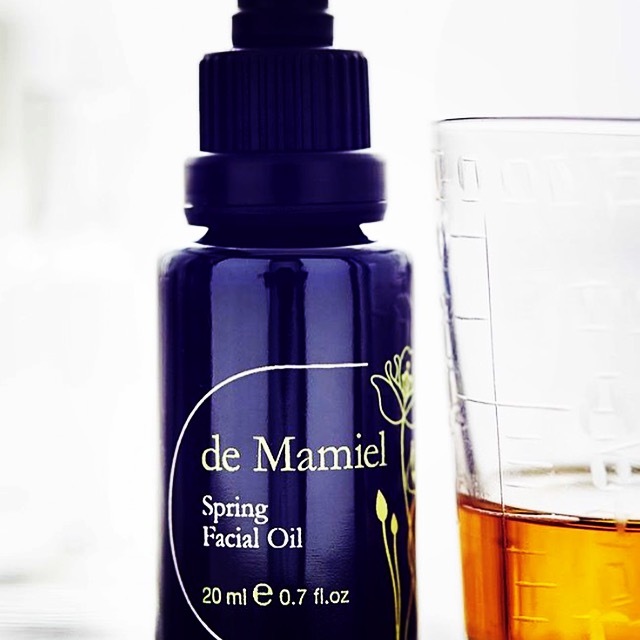 Obviously I love the fact that Amanda, the founder, grows and distills many of the ingredients. Ingredients: Simmondsia chinensis (jojoba) seed oil*, Oryza sativa (rice) bran oil, Silybum marianum (milk thistle) seed oil*, Limnanthes alba (meadowfoam) seed oil*, Helianthus annuus (sunflower) seed oil*, Opuntia ficus-indica (prickly pear) seed oil, Rosa canina (rosehip) seed oil*, Adansonia digitata (baobab) seed oil*, Sambucus nigra (elderberry) seed oil*, Althaea officinalis (marshmallow) root extract*, Ribes nigrum (arctic blackcurrant) extract*, Rosmarinus officinalis (rosemary) extract*, Citrus paradisi (grapefruit) peel oil*, Juniperus communis (juniper) fruit oil*, Pelargonium graveolens (rose geranium) leaf oil*, Lavandula angustifolia (lavender) flower oil, Backhousia citriodora (lemon myrtle) leaf oil*, Calendula officinalis (calendula) flower extract*, Mentha spicata (spearmint) leaf oil*, Rosmarinus officinalis (rosemary) leaf oil*, Tocopherol (vitamin E), Thymus vulgaris (thyme) flower oil*, Salvia sclarea (clary sage) flower oil *, Melaleuca alternifolia (honey myrtle) leaf oil, Nardostachys jatamansi (spikenard) root oil*, d-Limonene˚, Citral˚, Citronelloll˚, Geraniol˚, Linalol˚ Water/aqua/eau (Lunar Standstill, Taraxacum officinale (dandelion)**, Citrus paradisi (grapefruit)**, Rubus Fruticosus (blackberry)**, Luffa acutangula (luffa)**, Tanacetum vulgare (tansy)** *Certified organic ˚Natural essential oil constituents **Wild harvested. 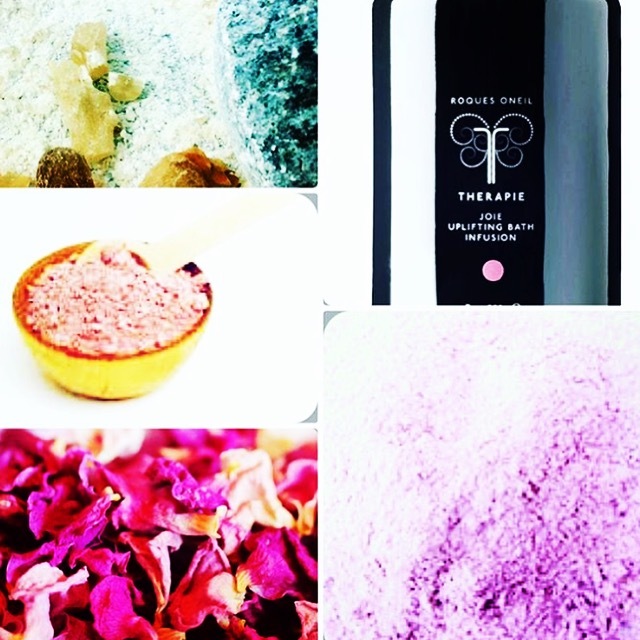 Annee makes the most beautiful treatments for skin, mind and mood. I always find it difficult to adjust to the change of season, my sleep patterns are altered and these oils always seem to have the ‘magic touch’ that helps be settle into the new weather and time of year. Ingredients: Aloe Barbadensis Leaf Juice*, Aqua (Water), Caprylic/Capric Triglyceride, Glycerin, Saccharomyces/Xylinum Black Tea Ferment, Isostearyl Isostearate, C14-22 Alcohol, Hydrolyzed Roe, Glyceryl Stearate Citrate, Glyceryl Stearate, C12-20 Alkyl Glucoside, Veronica Officinalis Leaf Extract*, Primula Veris Extract*, Mentha Piperita (Peppermint) Leaf Extract*, Melissa Officinalis Leaf extract*, Malva Sylvestris (Mallow) Extract*, Alchemilla Vulgaris Extract*, Achillea Millefolium Extract*, Sclerotium Gum, Laminaria Ochroleuca Extract, Lysolecithin, Dehydroacetic Acid, Alcohol**, Tocopherol, Xanthan Gum, Pullulan, Sodium Levulinate, Sodium Anisate, Parfum (Natural, Low Allergen Fragrance), Gluconolactone, Sodium Benzoate, Potassium Sorbate. *ingredients from organic farming **made using organic ingredients. I spend at least 3 – 4 weeks in New Zealand each year and protect my skin with this brightening serum for it’s anti-pigmentation benefits. 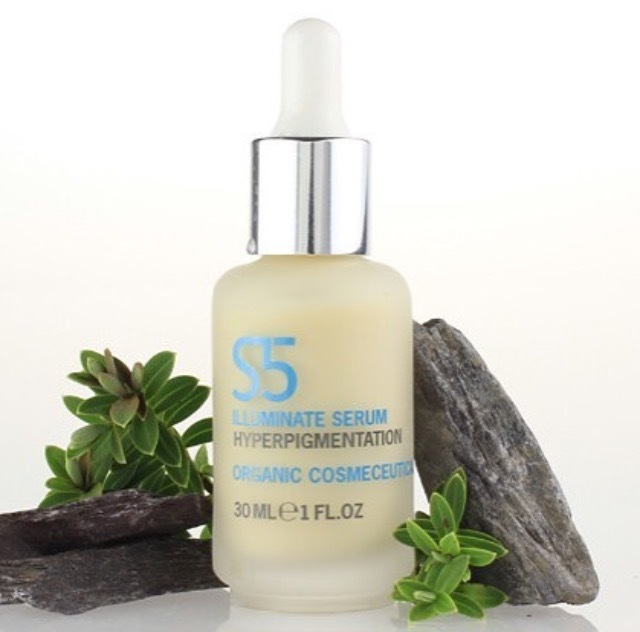 It’s 99.65% natural and 76% organic making an excellent option for those looking to tackle hyperpigmentation without straying from green beauty. Ingredients: Aqua, Glycerine*, Brassica olerecea leaf extract*, Palmitoyl tripeptide-5, Lactobaciluus/Dipteryx odorata seed ferment filtrate, Leuconostoc/Radish root ferment filtrate, Rosa canina seed oil*, Argania spinosa kernel oil*, Dextrac, Caprooyl tetrapeptide-3, Candelilla/Jojoba/Rice bran polyglyceryl-3 esters, Glyceryl sterate, Cetearyl alcohol, Sodium stearoyl lactylate, Sodium levulinate, Levulinic acid, Sorbitol, Yeast extract, Cetearyl glucoside, Caprylic/Capric triglyceride, Glyceryl caprylate, Glyceryl undecylenate, Niacinamide, Calcium pantothenate, Sodium ascorbyl acetate, Tocopheryl acetate pyrodxine HCL, Maltodextrin, Sodium starch octenylsuccinate, Silica, Selaginella lepidophylla extract, Lactobacillus ferment, Aristotelia chilensis fruit extract, Aloe barbadensis leaf juice powder*, Mica, Sodium hyaluronate, Lactobacillus/Punica granatum fruit ferment extract, Algin, Alginic acid, Xanthan gum, Beta vulgaris root powder*, Carnosine, Potassium sorbate, CI77891 (titanium dioxide). * Organic Certified. Quite simply one of the cleverest eye creams out there. 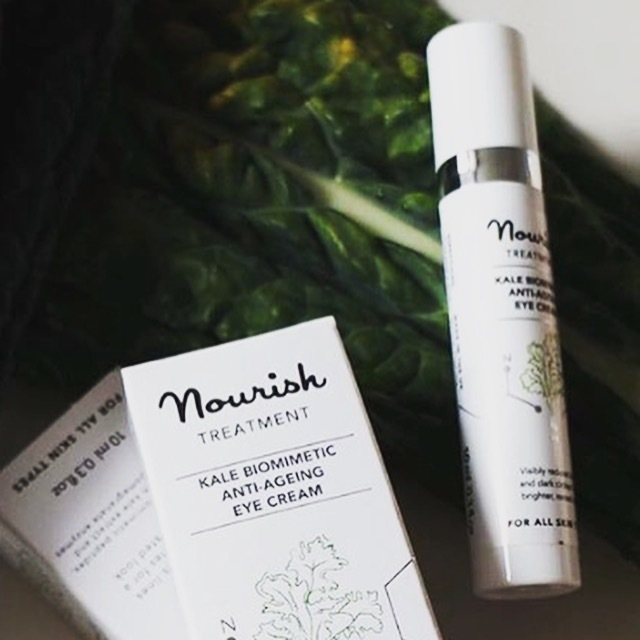 It features essential vitamins B, E and K, antioxidants, peptides and Tonka Bean to address puffiness, dark circles and wrinkles as well as brighten, improve elasticity and reduce any redness and swelling. Ingredients: Rosa Rubiginosa (Rosehip Seed Oil) Silybum Marianum (Milk Thistle Seed Oil) Prunus Amygdalus Dulcis (Sweet Almond Oil) Salvia Hispanica (Chia Seed Oil) Hippophae Rhamnoides (Sea Buckthorn Oil) Persea Gratissima (Avocado Oil) Lavandula Angustifolia (Lavender Essential Oil) Simmondsia Chinensis (Jojoba Seed Oil) Rosa Damascena (Rose Otto Essential Oil) Boswellia Carterii (Frankincense Essential Oil) Daucus Carota Sativa (Carrot Seed Essential Oil) Rosmarinus Officinalis (Rosemary Leaf Extract). *d-Limonene, *Geraniol, *Linalol, *Farnesol. *Naturally occurring in Essential Oils. One of the newer additions to Content, I love the use of Milk Thistle Seed Oil, Carrot Seed and Chia Oil in this organic blend. But the added hint of Lavender Essential Oil makes it one of my favourite night time blends. Also, it doesn’t hurt that the packaging is gorgeous. Ingredients: CERA ALBA (BEESWAX), ADANSONIA DIGITATA (BAOBAB) OIL, BUTYROSPERMUM PARKII (SHEA) BUTTER, HELIANTHUS ANNUUS HYBRID (CALENDULA) OIL, LINUM USITATISSIMUM (FLAXSEED) SEED OIL, OENOTHERA BIENNIS (EVENING PRIMROSE) OIL, PERSEA GRATISSIMA (AVOCADO) OIL, CALOPHYLLUM INOPHYLLUM (TAMANU) SEED OIL, CANNABIS SATIVA (HEMP) SEED OIL, PUNICA GRANATUM (POMEGRANATE) SEED OIL, SIMMONDSIA CHINENSIS (CALNEDULA) SEED OIL, TRITICUM AESTIVUM (WHEAT) GERM OIL, BOSWELLIA NEGLECTA RESIN (FRANKINCENSE) OIL, LAVANDULA ANGUSTIFOLIA (LAVENDER) EXTRACT, LIMNANTHES ALBA SEED (NEEM) OIL, ROSMARINUS OFFICINALIS (ROSEMARY) FLOWER OIL, MELALEUCA ALTERNIFOLIA (TEA TREE) LEAF OIL, SALVIA SCLAREA (CLARY SAGE) FLOWER OIL, *GERANIOL, *LIMONEN, *LINALOOL All ingredients Certified Organic*Naturally occurring in essential oil. 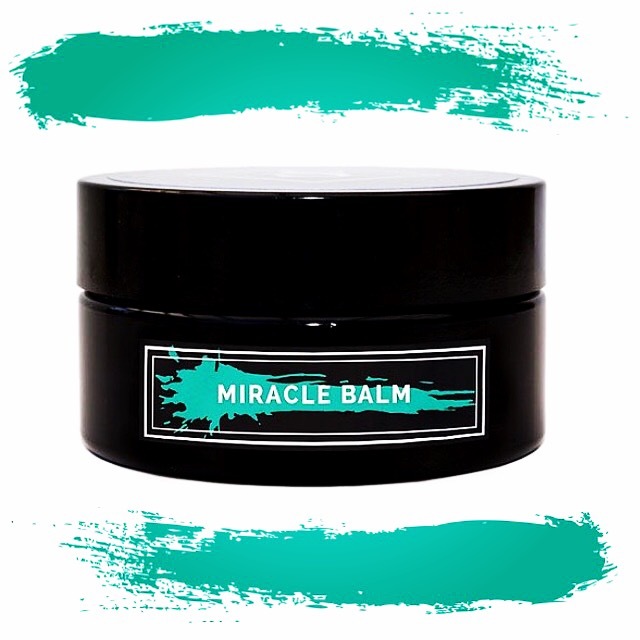 I have started carrying this balm as a ‘first-aid’ product on the go. It fixes dry skin and irritations in a flash. 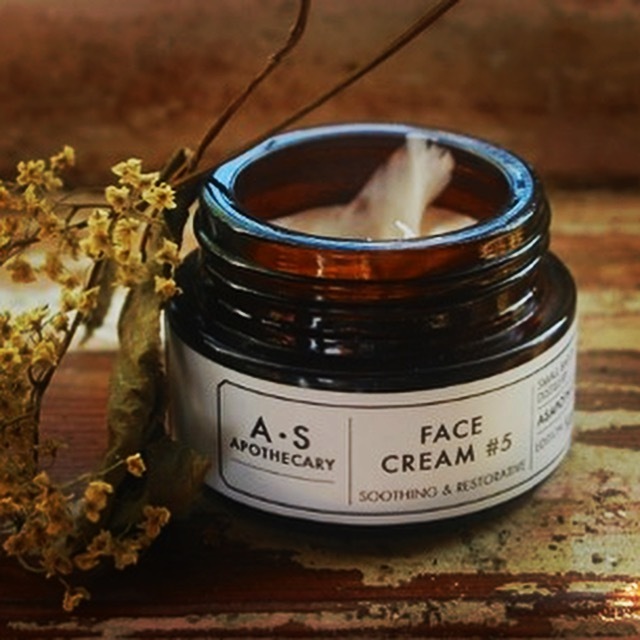 It’s packed with 16 regenerating oils and nutrient rich Shea Butter as well as Baobab, Calendula, Neem and Tamanu to diminish scarring, speed up healing, fight bacteria and deeply nourish and can be applied anywhere. I consider good cloths an essential part of any regime – I’m slightly addicted to them. The coarser ones irritate my skin a bit so I always seek out the softest ones I can find. These are it, plus they are organic which is always appreciated. Ingredients: Aqua, Coconut Alkanes, Glycerin, Butyrospermum Parkii Butter, Cetearyl Alcohol, Lepidium Sativum Sprout Extract, Cetearyl Olivate, Sorbitan Olivate, Dimethyl Sulfone (MSM), Cetyl Esters, Punica Granatum Sterols, Phenethyl Alcohol, Glyceryl Stearate Se , Coco-Caprylate/Caprate,Cetyl Palmitate, Macadamia Ternifolia Seed Oil, Rosa Canina Fruit Oil, Sorbitan Palmitate,Parfum, Xanthan Gum, Citrus Medica Limonum Fruit Extract, Geraniol, Ethylhexylglycerin, Vitis Vinifera Fruit Extract, Ananas Sativus Fruit Extract, Passiflora Quadrangularis Fruit Extract, Borago Officinalis Seed Oil, Citronellol, Alcohol Denat, Lecithin, Petasites Japonicus Root Extract, Phenoxyethanol, Retinyl Palmitate, Linalool,Saccharomyces/Magnesium Ferment, Potassium Sorbate ,Ci 77491, Saccharomyces/Copper Ferment, Saccharomyces/Silicon Ferment, Saccharomyces/Zinc Ferment, Saccharomyces/Iron Ferment. 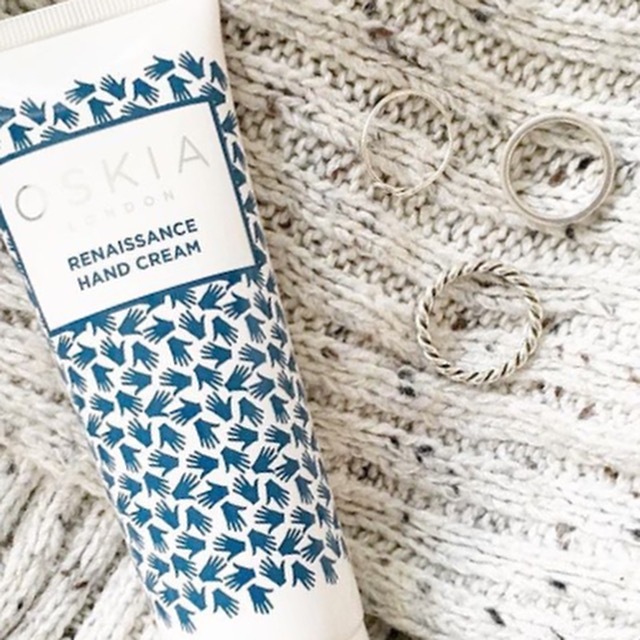 Friends and family quite often steal this hand cream off me. No one can pass up the cute packaging and the pretty pink colour of the cream. The signature rose-chamomile scent is lovely and the ingredients make it an excellent option for a rejuvenating overnight hand treatment. Ingredients: aqua, helianthus annuus oil*, olea europa oil*, butyrospermum parkii butter*, cetearyl alcohol, glycerin*, simmondsia chinensis oil*, prunus domestica seed oil*, symphytum spp extract*, calendula officinalis extract*, cetearyl glucoside, echium plantagineum, mixed tocopherols, jasminum grandiflorum* oil, citrus sinensis oil*, sodium levulinate, sodium anisate, lactic acid, sodium lauroyl lactylate. Naturally occurring in essential oils: d-limonene*. Literally the only body cream that works on my Ichthyosis. Since I discovered this I have never had to use doctor issued creams again. It works well for people with dry skin and who are prone to eczema too. I also love the Nathalie Bond Body Scrubs and Oils, they work a treat. Ingredients: Buttermilk Powder, Mysore Sandalwood Powder, Tapioca Starch, Rose Centifolia Powder Extract, Frankincense Powder, Himalayan Cedarwood Oil, Pink Clay, Rose Quartz Powder, Jasper Powder, Rosa Centifolia flower oil, Petagonium Graveolens, Graveolens Leaf Oil. This is my all time favourite bath product. Smells heavenly and contains both powdered Rose Quartz and Jasper. It works on so many different levels – aromatherapy, crystals, milk, salts – they all resonant with the body on a very powerful level. Scent: TOP: Galbanum, Lemon, Bergamot, Lavandin, HEART: Amyris, Cedarwood, Patchouli, BASE: Tonka Bean, Oakmoss, Guaicawood, Benzoin, Birch, Vanilla, Labdanum, Perou. 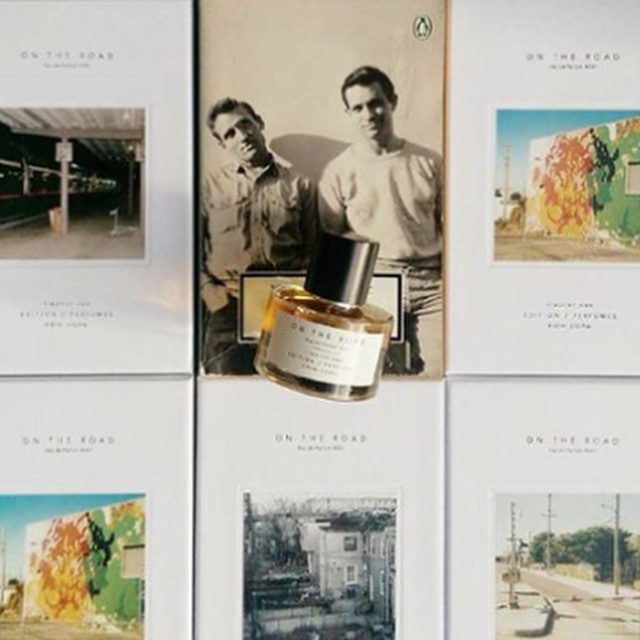 I love what Timothy has created from brand concept and design to of course the scent. I also use the Liha Idan Oil (£39) as an all over perfume – tuberose is one of my favourite scents and this one is out of this world! 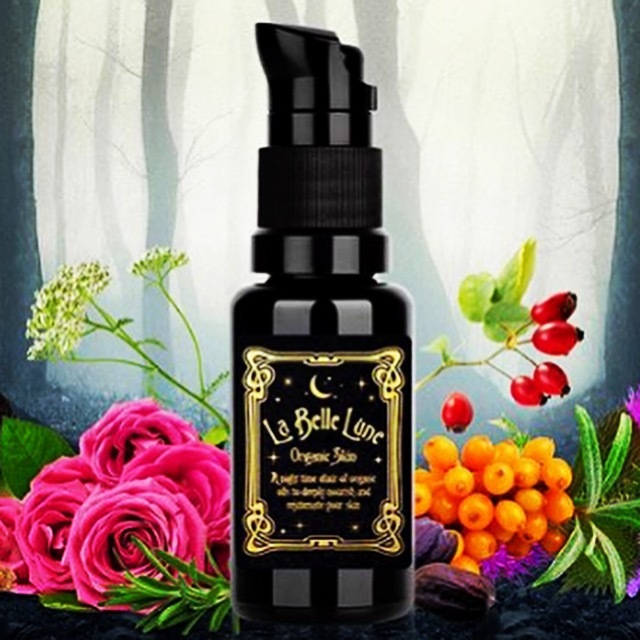 I carry the Lola’s Apothecary Delicate Romance Balancing Body & Massage Oil (£25) as a perfume – it comes in a cute roller ball bottle that is ideal for on the go. Good skin comes as equally from within as it does from what you put on it so I use a few British wellbeing brands, too. Ingredients: Organic soya bean (Glycine max). organic artichoke leaf (Cynara scolymus L.), organic baobab (Adansonia digitata), organic chicory root (Chicorium intybus var. sativum). Capsule (Vegicap) hypromellose, Lactobacillus kefir, Lactobacillus lactis, Lactococcus lactis, Leuconostocs mesenteroides, Acetobacter aceti, Kluyveromyces marxianus, Saccharomyces unisporus, Saccharomyce cerevisae. 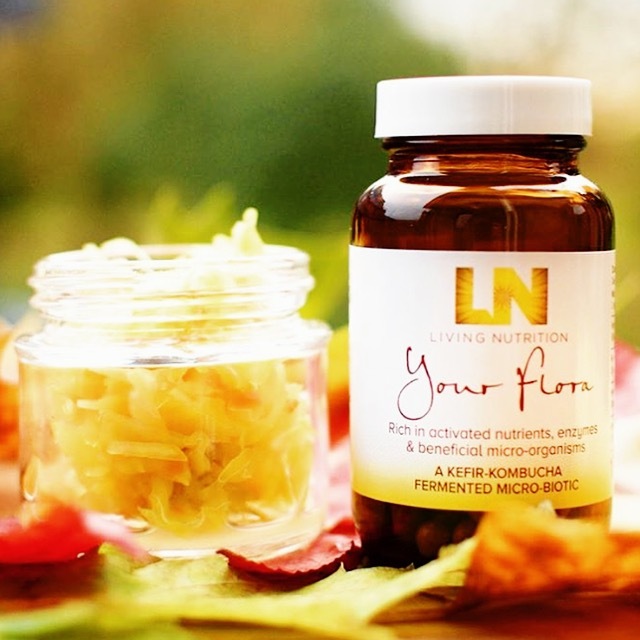 A healthy gut is one of the biggest influences of your overall health and few people realize that it influences skin too. I love that this probiotic which is created from wholefoods and herbs that are mixed together as a ‘kombucha’ soup and fully fermented using specialty kefir grains. Ingredients: coconut milk powder, organic turmeric, organic raw cacao, organic vanilla, organic black pepper. 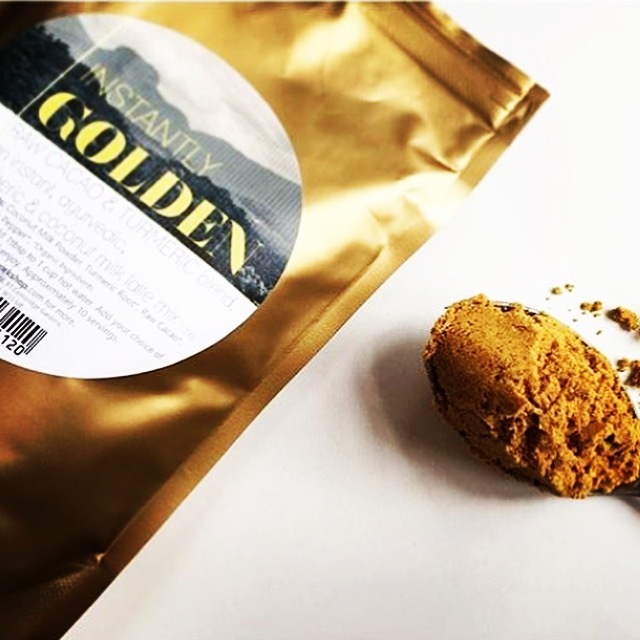 All my favourite skin foods in one drink – this vegan turmeric latte blend is made with organic turmeric, raw cacao, coconut milk powder, black pepper (to aid absorption) and vanilla. 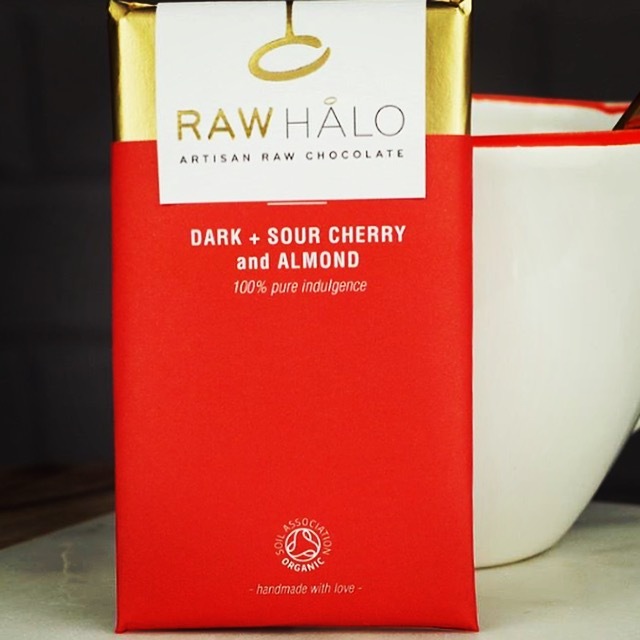 Ingredients: Raw cacao butter*, raw cacao powder*, coconut sugar*, dried sour cherries* (11%), pure almond nut extract* (0.2%). *Certified organic ingredients. Cocoa solids 67% minimum. I shunned conventional chocolate years ago in favour of raw and organic. This British made brand is one of my favourites. It’s dangerous having a shop full of it! 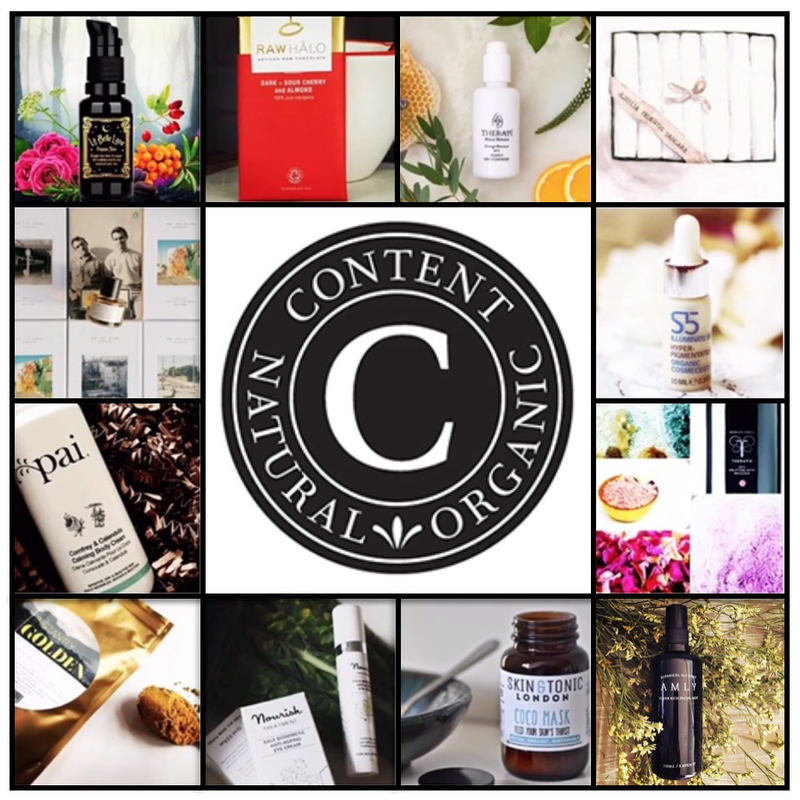 GIVEAWAY: Being the absolute legend that she, Imelda and the wonderful team at Content have arranged to gift one lucky person an entire brand new green beauty skincare routine! If you want to win all these products then head to my Instagram now (here) for the full details. Good luck! Disclaimer: The Edition Perfume cannot be shipped outside of the UK and unfortunately and the Therapie Joie Bath Infusion is a travel sized sachet. Accounts must be public and the most must remain visible until winner is verified by myself and Content. What a beautiful routine and products ! She is such a beautiful person and so generous . Thank you Arly for her interview , I loved it. My wish list has just increased lols! I don’t solely use green products, but I do like to incorporate some and find they are usually just as effective. The cleanser, toner and night treatment sound especially beautiful. My wish list as also increased haha! So many beautiful things I just need to try! Lol Me tooooo! Haven’t tried hardly anything Imelda mentioned and it all just sounds so good! Haha I thought the exact same thing! I have only tried, maybe two or three of things mentioned here but the rest have gone straight on my list lol! This is a great article! Check it out! 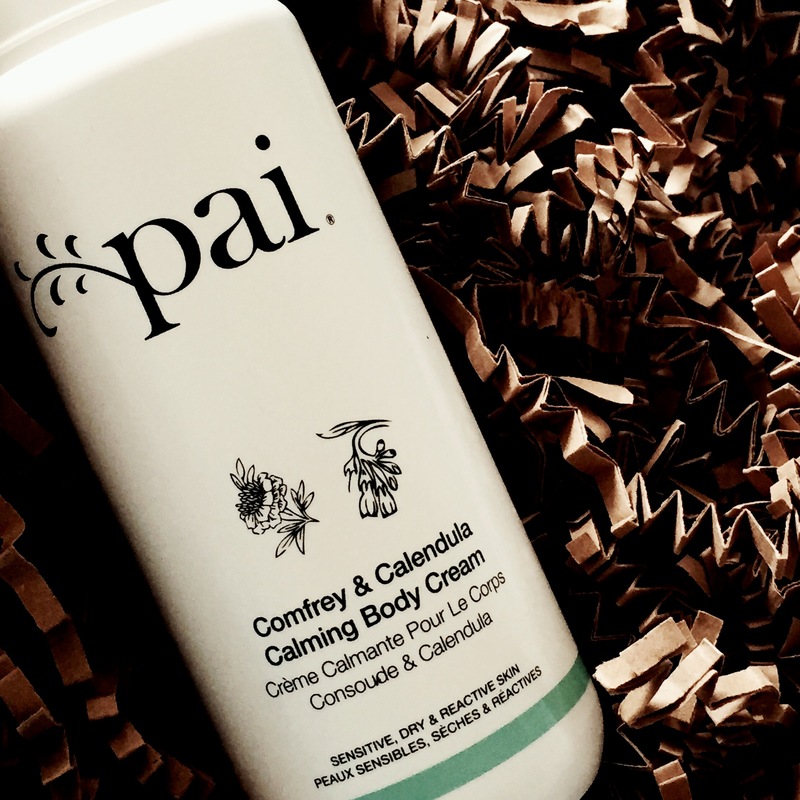 This is so awesome.I’m trying really hard to switch up my skincare routine to all-natural products, And this is absolutely what I need to help me out.What a fantastic blog! You are so welcome! Oh I know what you mean about Content – every time I am on there I want 10 new things lol!